What's Selling in Your Neighborhood? FREE report! First time buyer? Here's important information! What’s Selling in Your Neighborhood? FREE report! Click here and fill out the form that appears to receive the very latest, msot up to date information on any area. 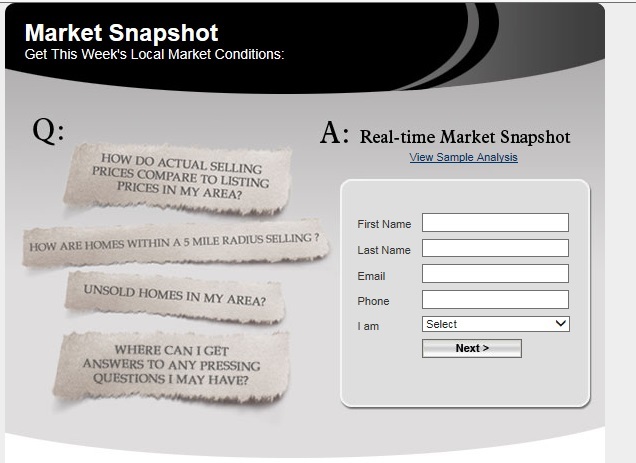 Want to stay up to date with the latest market information? Sign up here and receive not just what’s new on the market, but what just went under agreement and what homes have recently sold for!